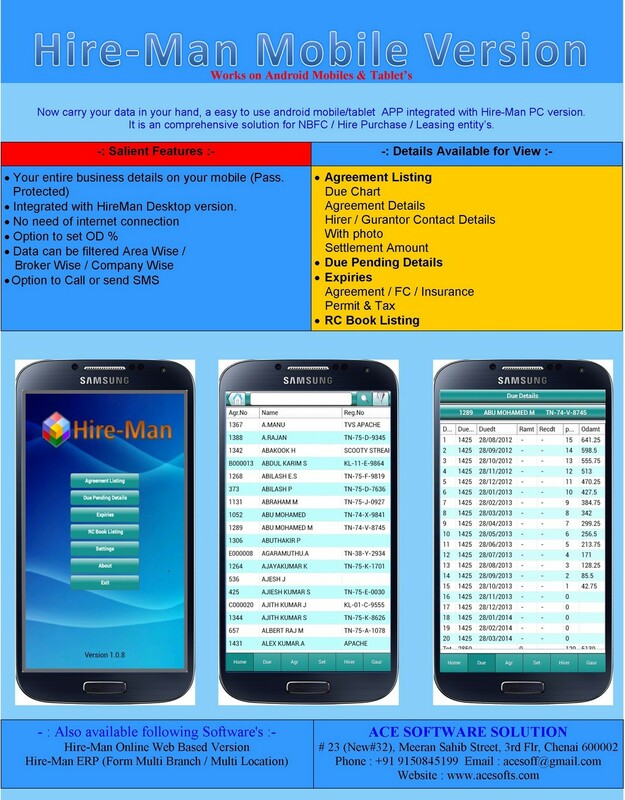 A comprehensive solution for NBFC / Hire Purchase & Leasing Companies, inegrated with accounts. Developed with keeping in mind day to day workability of a layman. 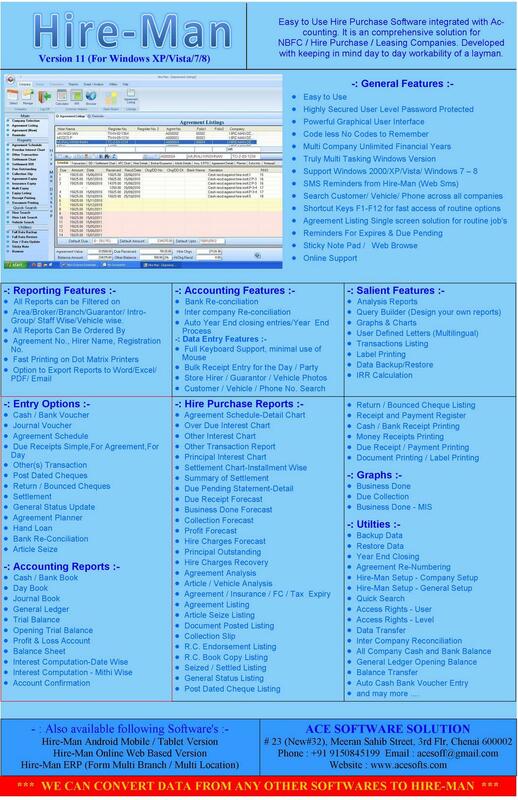 is a complete business management solution to automate the entire organization accounting process in affordable way. Software has everything to maintain financial records including Inventory, Voucher entries & Customer-Vendor, Billing details at one place. Software provides information on fingertips resulting improved efficiency and productivity of company.